A customized, high quality protein powder made for YOU! Whether you’re looking to lose weight, gain muscle, or feel more full throughout the day – Gainful’s got your back. With high quality, protein powder blends made custom to your body type and fitness goals, you’ll never have to worry about whether you’re taking the right protein. 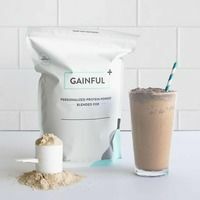 Gainful gives YOU the power to adjust EVERY ingredient in your protein powder. Our 100% plant-based, organic-certified vegan and vegetarian blends, as well as our gluten-free and lactose-friendly ingredients keep your tummy happy – no matter what dietary sensitivities you have. Every order also comes with unlimited access to your very own Registered Dietitian who can answer any diet or fitness questions you might have along the way. The Shoutout must include the packaging, the influencer, and be clean, and visually attractive. 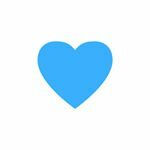 Caption should include something similar to (rewritten to be in your own voice): I've been taking gainful protein powder and it's helped with ___, ___, ____. I love it! Every blend they make is unique and it even has my name on it - how cool is that? All you do is go to their site and take a free quiz which tells you exactly which protein is right for you. Check it out! Use code ____ at checkout for $10 off your purchase! A unique promo code will be sent you that is specific to you. • You have at least 8.0k Instagram followers.